Born 28th august 1940, Oxford, England. 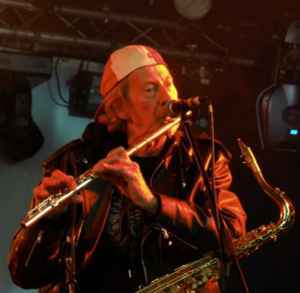 Was a member of Hawkwind for two stints: initially from 1969 to 1976 and again from 1982 to 1984 playing Saxophone, Flute and contributing occasional vocals during their most successful period. He was also involved with Inner City Unit, Sphynx and guested on works by Robert Calvert, Psychic TV, Mother Gong, Sham 69, Sting and The Stranglers to name but a few. Currently, he plays in Space Ritual.